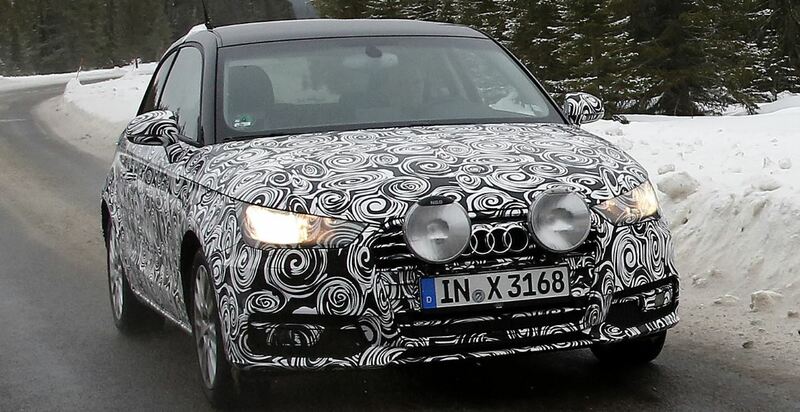 The Audi A1 was caught is some spy shots, bearing a camouflage for some facelift reasons, while the car was being tested in some cold weather conditions. Even though the car is wrapped in camouflage, there were some parts of the body being left unveiled, which is a true indication that the car will bring some important future updates. Thus, the fresh Audi A1 is supposed to come with some nice touches taken from its older A3, like new front and rear bumpers, taillights to sport new features and also some tweaks to the car`s headlights. If we take a closer look at the spy shots, we might see the resemblance that the car also shares with the already on the public Audi S1, which was unveiled at the 2014 Geneva Motor Show. Unfortunately, apart from these spy shots, there are now other details rendered about the car`s engine and presuming changes inside the Audi A1. What we do know is that the Audi A1 will be showed to the public in October, with the occasion of the 2014 Paris Motor Show. We will be able to find out more at that time.